Jimmer is off the market. For all you college basketball fans, Jimmer Fredette, college player of the year is officially off the market. 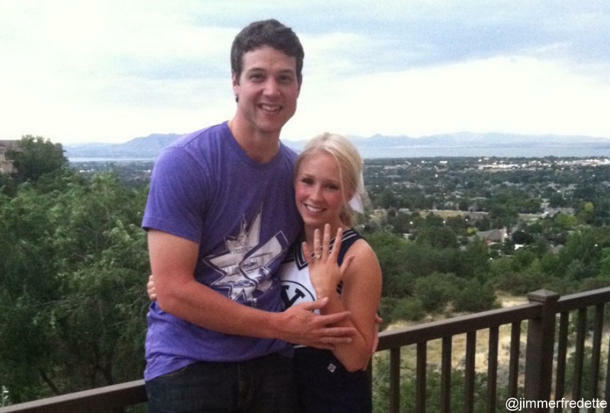 He proposed to his long-time girlfriend, senior at BYU, and cheerleader. She is very cute. They are very cute together. I only have one question- why is her uniform sleeveless? Hope you are enjoying your Saturday. I’m back in Portland, after leaving Boston on a last minute flight last night. Bah.